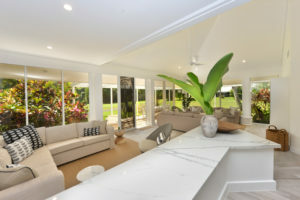 Éclat have been providing building and painting services to an extensive range of clients throughout Far North Queensland for almost 30 years now. As a full service building solutions provider we have the depth and experience to manage and deliver major Programmed Maintenance solutions in the Resort and Holiday Accommodation sector, refurbishment and maintenance solutions for Commercial and Retail businesses, and repair and renovation solutions for high-end private homes and executive accommodation. Building owners and managers have come to appreciate dealing with Éclat for our cost effective diagnostic solutions to a range of property maintenance issues. We use industry best practice to deliver quality solutions made for the demanding conditions in tropical Australia. Give us a call to discuss your property needs.